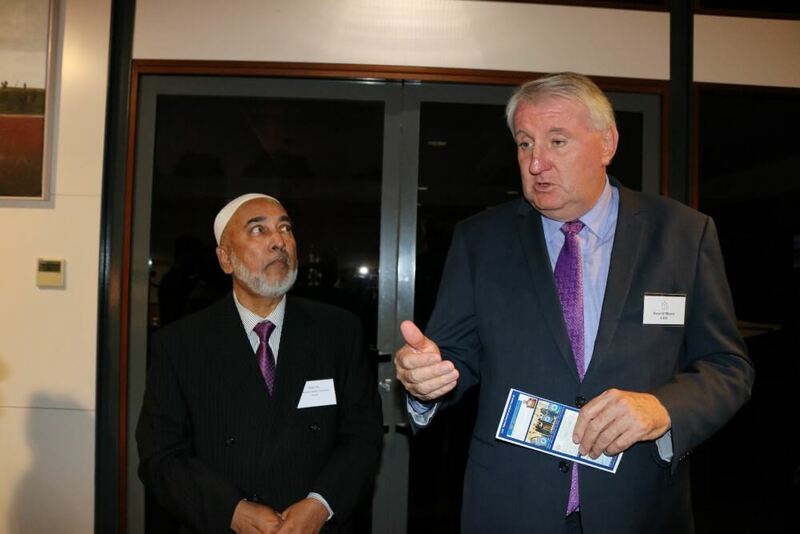 Caption: Mr Kazi Ali, a veteran leader of Sydney's Muslim community signed the MoU together with the CEO of the CMCT, Mr Peter O’Meara. The Catholic Metropolitan Cemeteries Trust (CMCT) is providing 4,500 new burial spaces to Sydney’s Muslim community at Kemps Creek Cemetery in Sydney’s west. 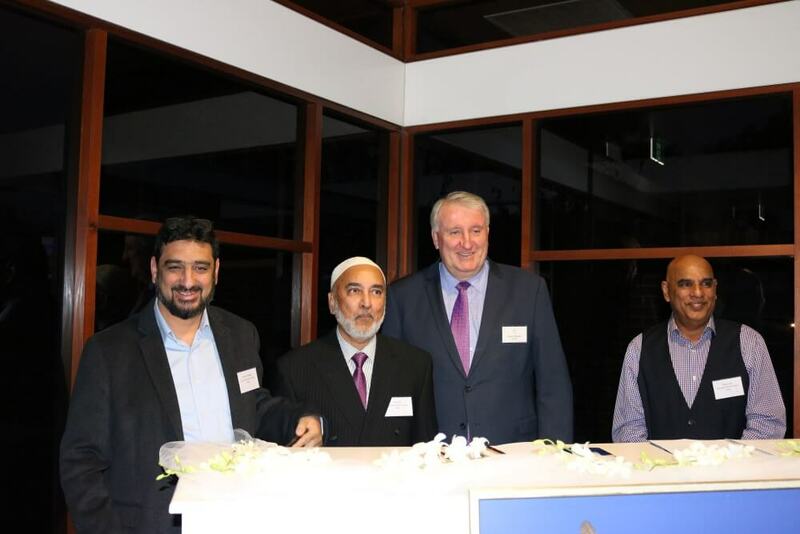 A number of Muslim leaders attended a ceremonial signing of a Memorandum of Understanding with the CMCT on Wednesday 30 May 2018 at the Mary, Mother of Mercy Lounge at Rookwood Cemetery, together with an Iftar, breaking of the fast during this month of Ramadan. 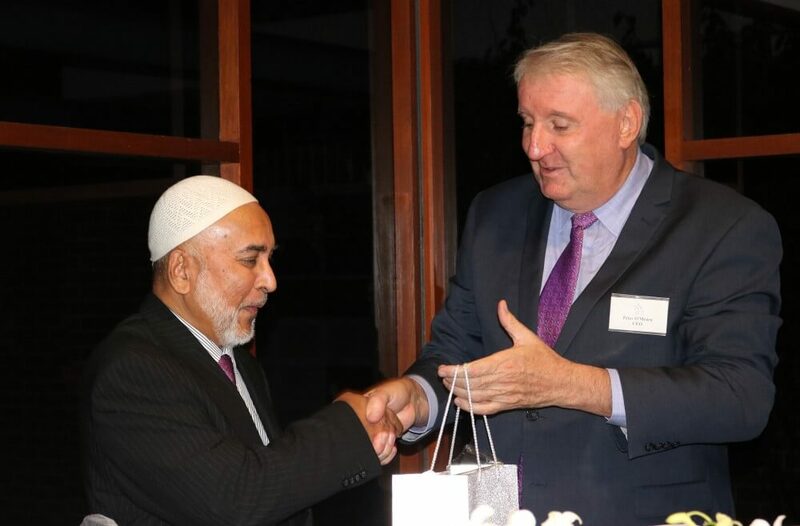 Mr Kazi Ali, a veteran leader of Sydney’s Muslim community with decades of experience in Muslim burials signed the MoU together with the CEO of the CMCT, Mr Peter O’Meara. 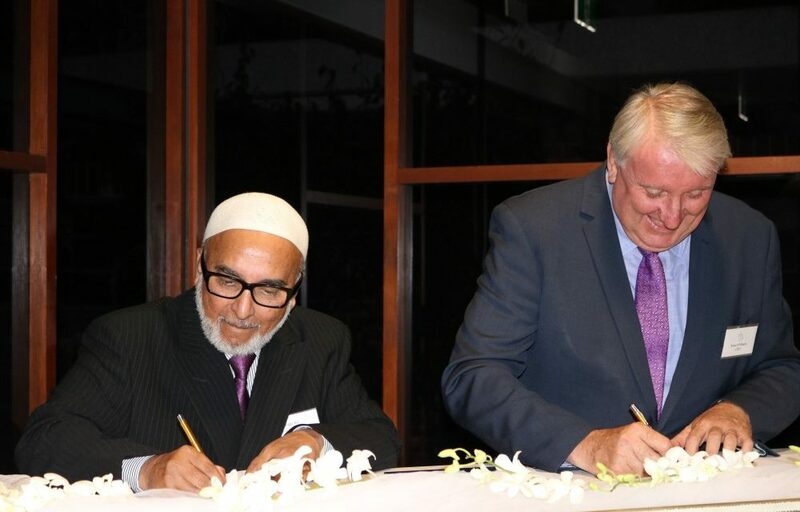 Mr Kazi Ali said that this signing represented a partnership between Muslim and Catholic faiths based on goodwill between the two parties and thanked Mr O’Meara in making this agreement a reality. 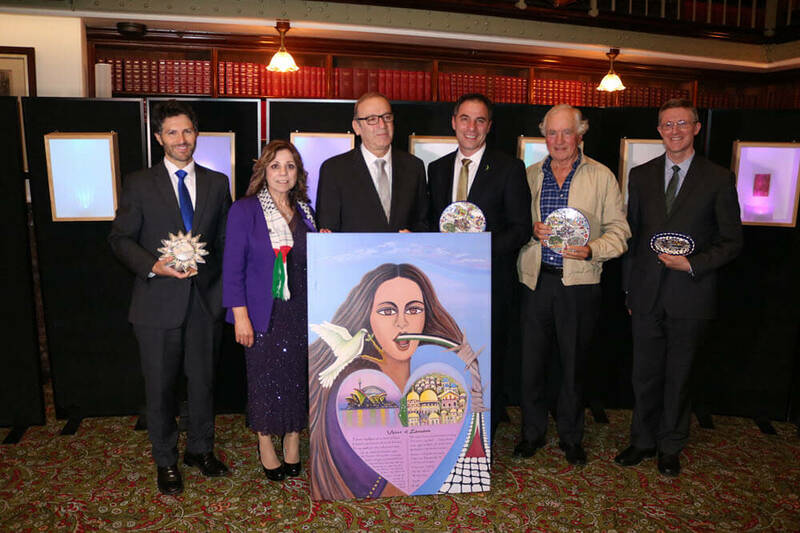 He also thanked Mr Azam Ali who was involved with Liverpool Cemetery for a long time and initiated the dialogue with Catholic Cemeteries to allocate a Muslim section at Kemps Creek. He further added, “It is expected that Sydney will run out of burial spaces over the next 25 years and we are working to alleviate this problem with the acquisition of sites at Campbelltown and Wallacia which will deliver more than 220,000 burial spaces to Sydney”. Expected to fill the demand for Muslim burial spaces for 10 years, the spaces were sought urgently as the Muslim’s current burial grounds, Riverstone Cemetery, is expected to be full this year and Rookwood Cemetery spaces will expire in the next few years. 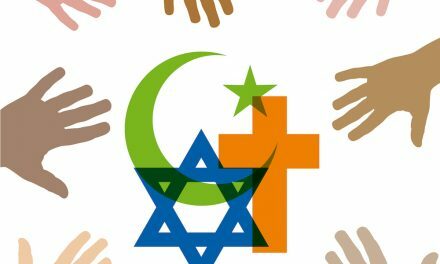 It is expected that 30 per cent of families in Sydney – predominantly Muslims, Jews and Christians – will continue to seek burials instead of cremations in the future. The Cemeteries and Crematoria Act recognises the right of all to a dignified interment to ensure the interment practices of all religious and cultural groups are respected and provided or. The Kemps Creek Cemetery serves all denominations in the community and provides affordable burial and cremation options, with rolling lawns and tranquil lake views surrounded by native bushland. Located between the Penrith local government area and only 15 minutes from Liverpool and 20 minutes from Blacktown, the 15 hectare memorial park offers the community a rural alternative to other cemeteries in built-up areas. 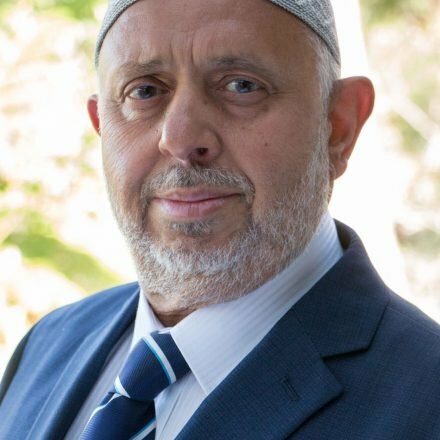 “We look forward to a continued, long association with the Muslim and Jewish communities in Sydney and call on the NSW Government to approve our proposed cemeteries to fill the ongoing demand for burial spaces and to ensure future generations have equitable access to interment options,” Mr O’Meara said. The Catholic Metropolitan Cemeteries Trust (CMCT) is a not for profit organisation. MashaAllah it’s good to see Muslims and Christians are working together for the communities. 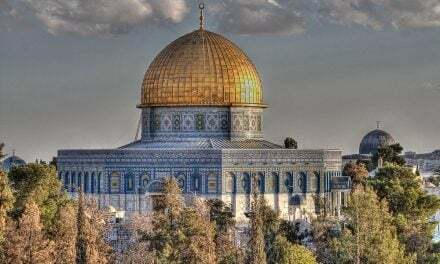 I hope Muslims and Muslim leaders come up with the best plan to use this land under the guidance of Islam/Sunnah and not make permanent graves, i.e one grave for one person with marbles etc. Islam offers the best solution for the burial land problem, where one grave can be used for many burial, after a gap of many years in between each burial.